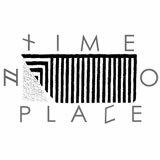 Based out of Los Angeles, Time No Place's mission is to seek original, fresh sounds working with artists exploring the songs of tomorrow. At a glance, the label's roster is outwardly eclectic from the neon pan-global club and pop stylings of Nguzunguzu and Rainbow Arabia, the cosmopolitan krautrock-melted pop of Zoos Of Berlin, the trippy synth workouts of Secret Circuit, Castratii's haunted and spacious dream rock, CHLLNGR's futuristic shadow dub structures, or the skittering warped MPC riddims of Butchy Fuego. You can't dive into any Time No Place release with a preconception of what you're going to hear, with each artist carving out their own unique vision.